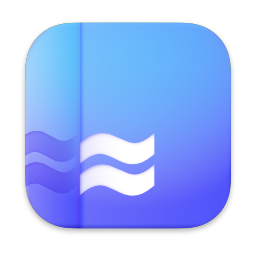 While on a visit to a family friend, I was told by the most senior person in the hosting family about his capability for water dowsing. He said he helped many families to locate water by directing them to the spots in their homesteads where they could possibly find underground water if dug a few meters. 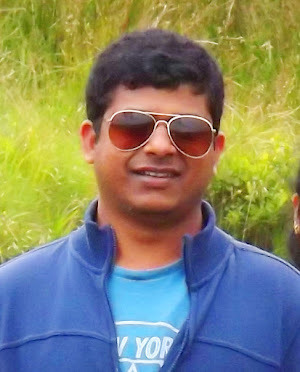 According to him, he had a special gift which helped him to locate the presence of ground water following this method. 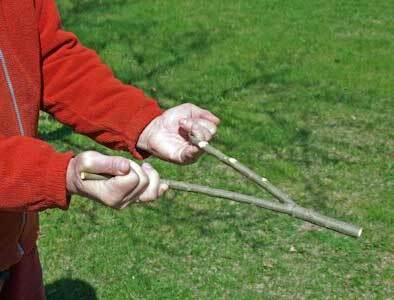 This method is popularly called water dowsing, apart from other names like water divining, water witching, or simply water finding. This is a widely used method of finding the location for water-wells. In our place, there were special persons who were known for their ability to use a ‘Y’ shaped water-dowsing rod coupled with the magnetism in their bodies, to locate the presence of water underground. Science calls this method fake, and classify it under Pseudoscience. But we can’t treat everything baseless; due to the inability of the scientific methods to give an explanation for a certain phenomenon. I hope science would at least in a later period find a reason for this particular magnetic capability of a few of selected human beings. Coming back to the respectable and elderly person who told me about this particular ability – in his lifetime, he had used this method around thousand times to trace water. Not a single suggestion from him went futile, as per his claim. This person is a school teacher, so there rests a certain amount of credibility in what he says. He also said he could not use this method more than three to four times a day, as excessive use of this would affect his heart. 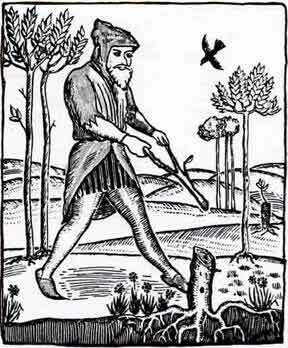 The water dowsing method includes the use of a dowsing rod, which is Y-shaped as written above. The two branches of the rod are held using the thumbs of both the hands by keeping the tail branch of the rod parallel to the ground. By maintaining the stature, the dowser (he is also called a diviner as he uses the divining rod) walks along the homestead. It is said that when the dowser’s magnetic capacity traces the proximity of groundwater, the tail branch of the dowsing rod would move towards that location. Taking clue of the rod’s movement, the dowser moves to the location where he can feel the vibration of the rod in the maximum. This final location is where the water can most easily be found. The water divination works this way. Apart from the direct, face-to-face account by the aforementioned elderly person about his talent, I also had happened to hear third-party narratives about persons with same water witching abilities. As I heard, when asked about the source of their talent, they all attributed their special gift to the effects of magnetism. Moreover, in all cases, the dowser has to employ an apparatus either in a rod shape or in other shapes like the pendulum to make use of their bodily magnetism. 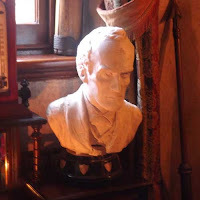 Private Detective Sherlock Holmes – from my humble point of view – has been the most influential fictional character among all I read, and everything I watched. Unless I read him, I suspect if I would have attempted even blogging. I am unable to put in words the mystic feeling that such a little coinage like ‘221B Baker Street’ brings to my mind. 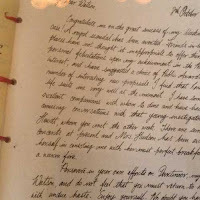 I used to often hear or read from Sherlock buffs that the apartment where he and Dr John H Watson supposedly lived actually exists there and the same address receives a lot of letters from potential customers on a daily basis. 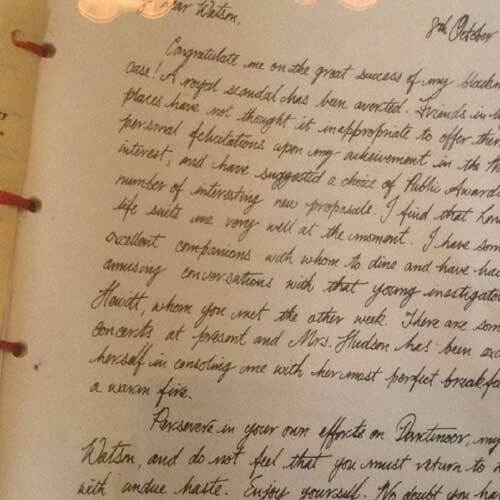 By these specific reasons, 221B Baker Street remained on top of my must-see destination list. After moving to Dublin from India, I got the opportunity to actualize my long time wish. 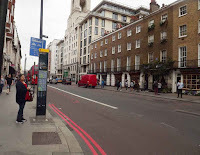 I visited United Kingdom twice. I went to see Baker Street in London city during the first trip and 221B during the second. 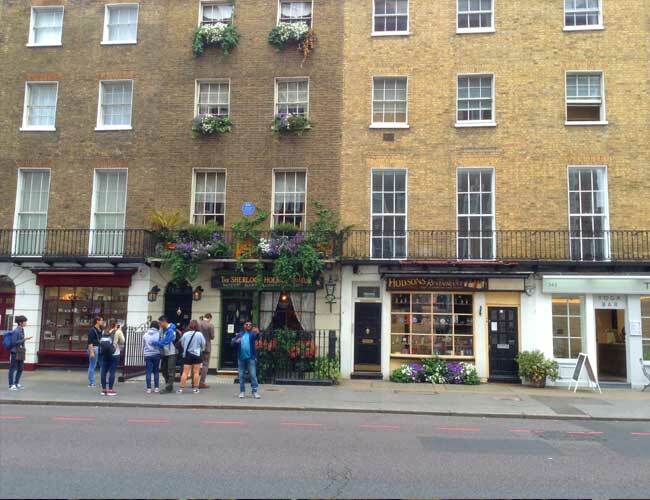 A casual walk through the Baker Street alone was enough to satiate my wish as I believed a visit to the 221B apartment was not going to create a greater impression in mind than what I had in mind through reading the Sherlock books. But still, a wish is a wish! So, I decided to spend 15 British Pounds to make a physical visit to the 221B Baker Street museum. The apartment is four-storied. 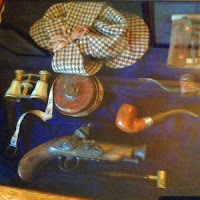 It has been designed based on the details provided in the Canon of Sherlock Holmes. 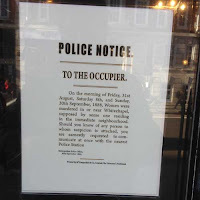 On the ground floor, there is a store from where we get tickets to the Sherlock Holmes museum. 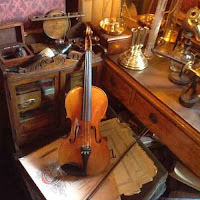 You can buy souvenirs from there ranging from books, Sherlock paintings, deerstalker hats, visiting cards, to film DVDs, and everything is hugely prized. I think the chest badge I bought for 2 Pounds is the cheapest one. This floor has an underground section where toilet facilities for visitors are provided. The entrance to the upper floors is guarded by a sentry in Victorian uniforms. 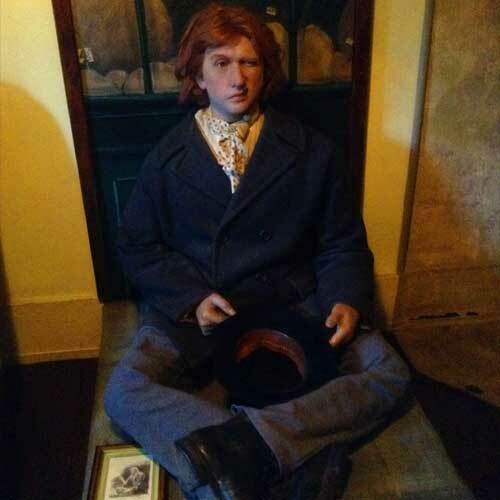 Every staff in the museum is clad in the attire that reminds us of the Victorian times. Going up on the first floor, we are taken to the living room of Mrs Hudson, who was the landlady of Holmes and Watson according to the stories. 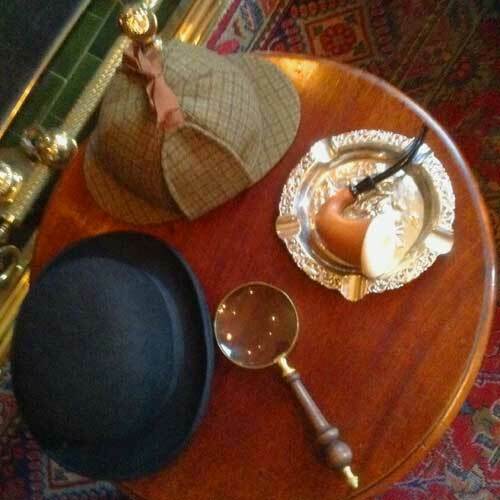 There are places where we can sit and take photographs while holding a typical smoking pipe and wearing a Deerstalker hat, which were famously used by the fictional detective. 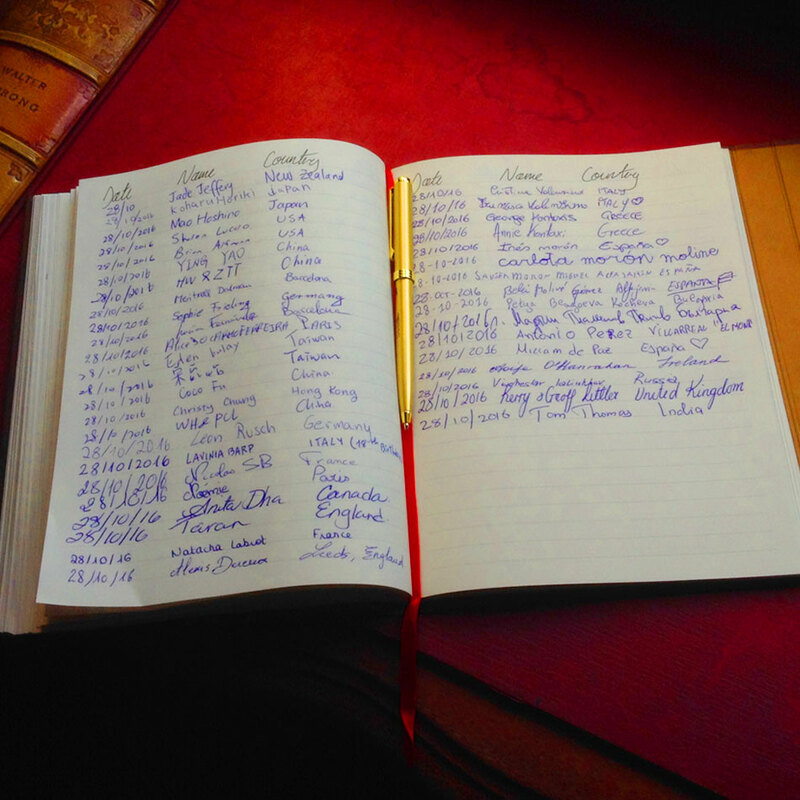 A visitors’ book is available there on the table where we can put our signs, and guess what? I was the only visitor from India who signed on the page which was open. Going up on the second floor, we see Sherlock Holmes’s bed room and living hall. Every floor has a bedroom and a living room, and every room is comparatively very small. A bust of Sherlock Holmes as described in ‘The Adventure of the Empty House’ is placed near to a window memorizing the events in the story. There are several of such replicas everywhere, Holmes’s violin, books read by Watson, and many. 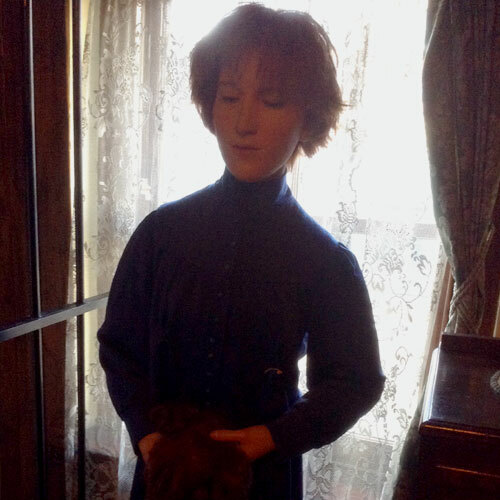 Replica of the characters and instances of the books are portrayed in the living room of the third floor. Characters in ‘The Man with the Twisted Lip’ ‘The Disappearances of Lady Frances Carfax’, ‘The Speckled Band’, and some more are portrayed in the third floor in life-like sizes. Close to the third floor living room you can see Watson’s bed room. A little above the third floor, there is a toilet which is not for the public use. There is an attic on top of the toilet area, which is forbidden from accessing. 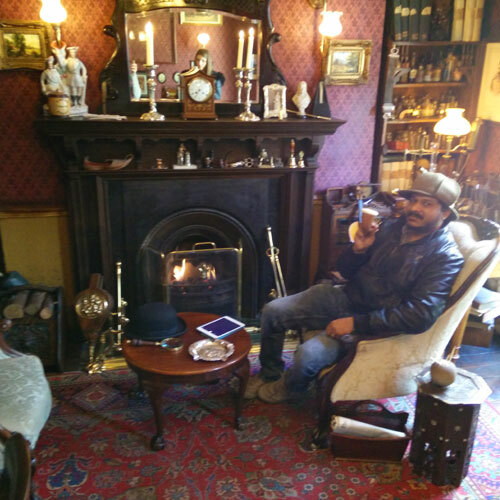 The Sherlock Holmes Museum at 221B Baker Street is a good place to visit, and there are a lot of visitors. 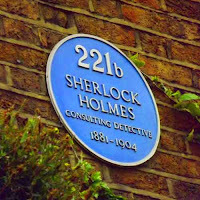 It is run by the Sherlock Holmes Society, and above all there is a blue plaque for Holmes on the outer walls of the building. Although their effort is worthy of applause, I felt that some part of the layout of the building bears less resemblance with the depiction of the 221B building in the narrative. I could be wrong as well! 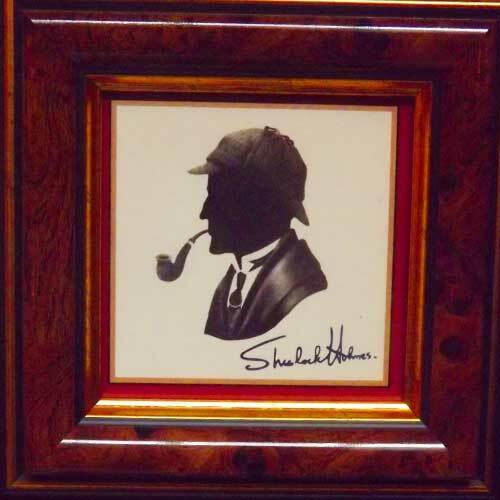 Note: You might have noticed that I nearly missed mentioning Sir Arthur Conan Doyle, the creator of Sherlock Holmes. Why blame me? Such gigantic is the impression of his creation, needless to say! 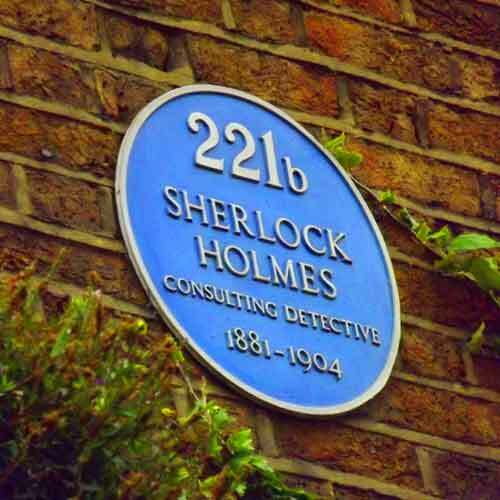 Trivia 1: During the time of Sir Arthur Conan Doyle, street numbers in Baker Street did not go as high as 221, which might be the reason why Conan Doyle chose a higher street number, to prevent the address from matching any actual person’s residence. 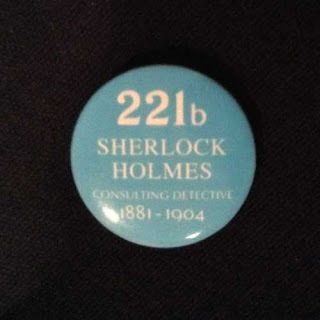 Trivia 2: As per the naming convention of the buildings in Baker Street, the actual house number of the Sherlock Holmes museum should be 239 Baker Street. 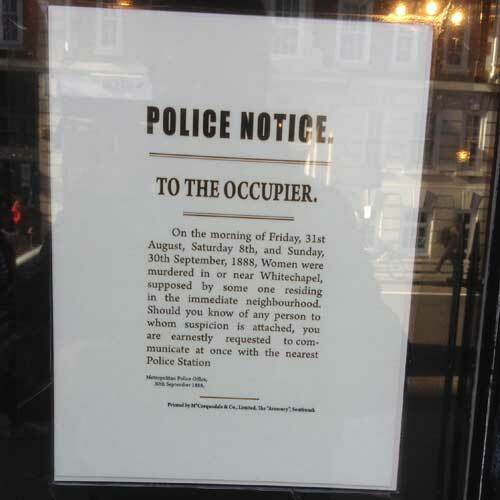 There was some controversy associated with renaming 239 into 221B when the museum was opened in 1990. 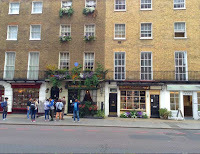 An exterior view of the Baker Street. seen at the right side. 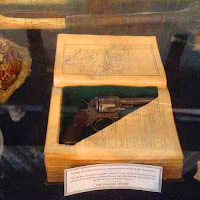 "There is no terror in the bang, only in the anticipation of it." 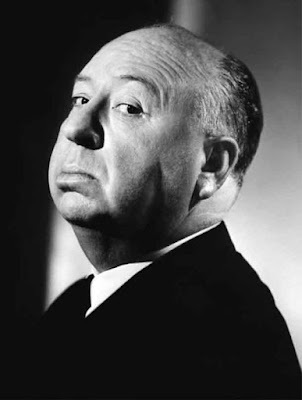 Alfred Hitchcock may be likened to Agatha Christie when their works in film and literature respectively are considered. The ‘Master of Suspense’ was as prolific as the ‘Queen of Crime Fiction’, and their similarity is not confined to the quantity of produced works alone, but both were equally successful in creating works of superior quality in a continuous manner for longer periods of time. Our today’s topic of discussion is not the writings by Christie, but the films of Hitchcock. As everyone knows, suspense was the primary forte of the man of multiple cameos, and he was greatly successful in that genre. My true intention is to point out a technique that I noticed which Hitchcock employed to create a collective feeling of terror, anticipation, and excitement in his films; and the technique is – silence. A filmmaker who started his career in the silent era, who produced one of the first successful sound films in the form of Blackmail (1929) had every opportunity to be grown up as a moviemaker who knows how to use sound perfectly in his film. While watching many of Hitchcock films I have noticed that he had the tenacity to add dead silence in places where it was least expected. It is striking to note that a film director, who was keen on generously filling many of the film portions, especially the beginning and end with flamboyant background music, chose to resort on total silence in some of the suspenseful key sequences. Critics many times mentioned the silence in the murder scene in ‘Blackmail’ movie in related discussions. Another example of such voluntary silence is the gruesome murder scene in his later year success ‘Torn Curtain’. In a violent scene of this 1966 movie, Hitchcock stayed silent while a German guide was being murdered inside a seedy and solitary farmhouse. The guide’s head was pushed by the slayers into a gas oven and what we can hear is just the controlled noise of the struggle. Tail-end: The Birds (1963) also has a sequence where the sound is greatly suppressed and silence is enhanced. But I find the above two sequences surpass the Birds scene in terms of the amount of anticipation. 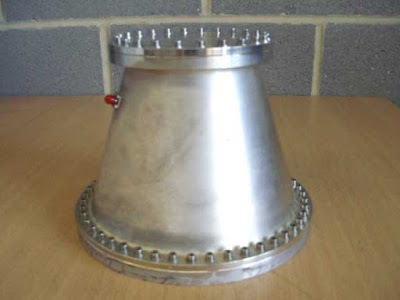 RF Resonant Cavity Thruster (EmDrive) - Is it Impossible still? The human is confined to the earth. The blue marble is his natural habitat, away from which, he has no destiny. Separation from consumable energy sources and close contact with strange atmosphere make the earthly life forms incapable of survival in space. But the human is genetically adventurous. So they attempted space travel. The ancient and intrinsic humane curiosity about the celestial bodies gave way for his hunt to find similar planets that can sustain life forms. The adventure that started as a quick visit to the upper orbit levels eventually led him to land on earth’s natural satellite, the Moon. And now, he is on the lookout of possible other worlds where he can survive in an earth-like atmosphere before the earth becomes inhabitable anymore. 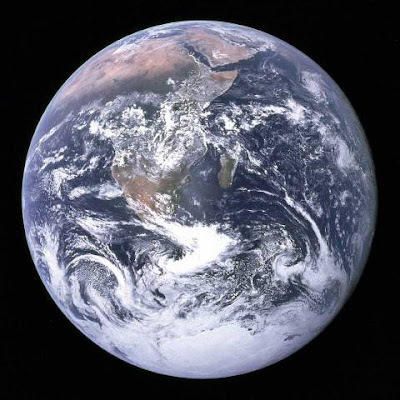 The Blue Marble, Earth's famous photograph taken by the crew of Apollo 17. Leave that story aside. Let’s now think about the historical evolution of human’s travel modes. The man who wandered completely unclothed around the forests reached an evolutionary landmark when he invented the wheel. 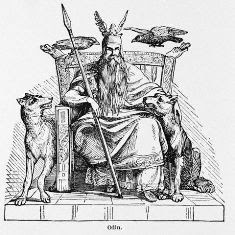 He ultimately learned to travel via the land, the water and the air using vehicles. The history says us that there were certain inventions which acted as the milestones of the growth of the human transport. The invention of the steam engine might be one such. The recently developed Hyperloop technology may be another one, which is another story. When humans developed rocket propulsion technology, it helped him to travel out of earth’s protective environment. If the man is continuing his space expeditions, the existing rocket-propelled methods would become unreliable very soon, due to the cost involved. Factors to be considered here include the amount of fuel required for the initial launch from the earth and the cost for refuelling in case the plan is for an interplanetary travel (interstellar may be in the far future). Spacecraft once used is totally or partially unusable for a second expedition, which is another important factor in this regard. I am not ignoring the fact that we are planning a manned launch to the Mars with the existing rocket-propelled methods, but for how long we can rely on such costly methods? If an intelligent alien species is furtively watching our space expeditions, we are being constantly pooh-poohed by them for still depending on such age-old methods. I don’t believe in intelligent extra-terrestrials (aliens) by the way; my points regarding this are another topic, about which I might write later. At this point, we have the concept of EmDrive or RF Resonant Cavity Thruster. The Emdrive (pronounced M-drive) is a device for transportation which requires no propellants. It is currently being built using a hypothetical method of converting microwave energy into thrust inside a closed chamber. Imagine a spacecraft that goes up effortlessly without any blast or cloud of smoke, and goes beyond the pull of earth’s attraction in a comparatively shorter span of time! That marvellous achievement will be the result of Em Drive’s successful construction. If you have seen movies about aliens, you might have noticed that in many cases the vehicles used by them are launched without any apparent thrust. The man behind Em-Drive is Roger Shawyer. You can see here a video in which he explains his concept. I am just an amateur Physics enthusiast, sadly not an expert to understand fully what he details in the video. There were many predecessors of EmDrive, one of them was called Cannae Drive (formerly Q-drive), and there were also some other claimed anti-gravity drives. Some of such devices are either under development or were stopped when found futile. Roger Shawyer’s Em Drive is operated by a thrust, which is the result of the reaction between the end plates of the waveguide used in it, and the electromagnetic wave propagated within it (and thus the name, Em Drive, which may be called Electromagnetic Drive). The EmDrive may or may not work. But as a layman, I feel that it is high time that a revolution in space travel took place. As I had heard in somewhere before, the best shape that a spacecraft is to be built is that of a circular disc, as it is the best shape to skip through different atmospheres of varying gravity and pressure. (That’s why the UFOs always had a disc or circular shape?) If not EmDrive, probably a different device might soon be invented that would make the human species a spacefaring one, let us hope.